I knew it was a special Mach !! Am I missing something, I see a Mercury Cougar report and I don't see one of one on it either? OLE PONY;21020 Wrote: Am I missing something, I see a Mercury Cougar report and I don't see one of one on it either? Actually it's a Mecury Cyclone. I also don't see 1 of 1. The report was for my 72 Mach I, that is what I got back as the report . I know it is definitely not a Merc . I just posted what they sent me ...A $15.00 joke on me. I know it was a mistake, but you have to wonder what else they screw up. Marty keeping up with the Ford tradition? Wow, that's messed up! 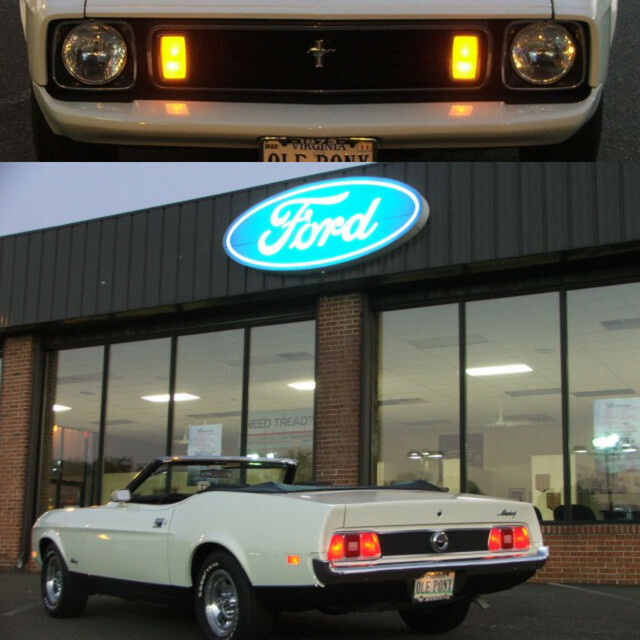 It really is a 1 of 1 - the only Mercury Cyclone Mach 1!!! I remember when I worked at a Dodge dealer back in the early 80's there was a new Doge Omni on display in the showroom, but the passenger side had a Plymouth Horizon badge on the fender. I had to point it out to the salesman! It came from the factory that way! So you may have a very special car!!! Was the correct VIN submitted? Maybe your VIN was swapped out.